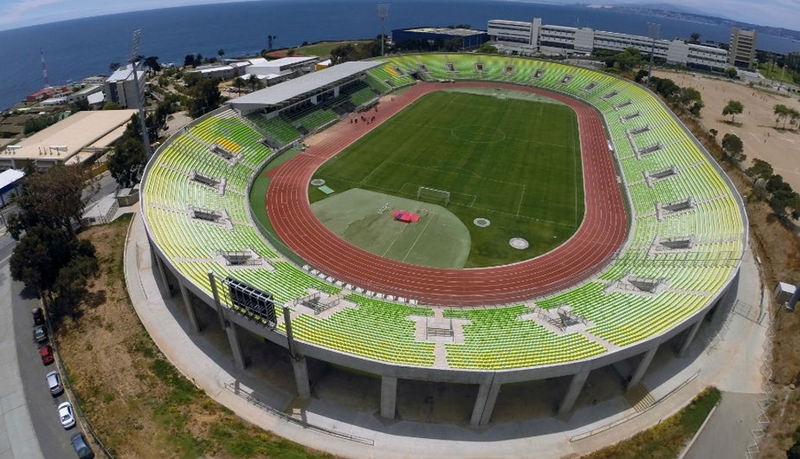 The stadium sits on the Playa Ancha Hill, stunning location nearly surrounded by waters of the Pacific Ocean. 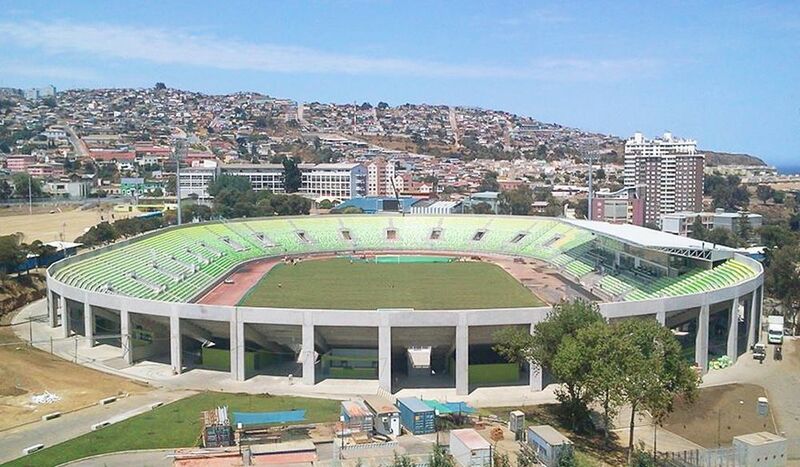 The location explains why locals popularly refer to it as the Playa Ancha stadium. Initial sporting venue at this location was opened on Christmas Day of 1931 and was known for decades because of its very decorative main grandstand’s façade. That historical part was retained as the old stadiums got demolished in 2012. New main grandstand has the front wall of its predecessor incorporated into a much larger structure, one holding both hospitality facilities and football museum. Remaining stands were built strictly around the running track and with quite steep incline, resulting in greatly improved sightlines. 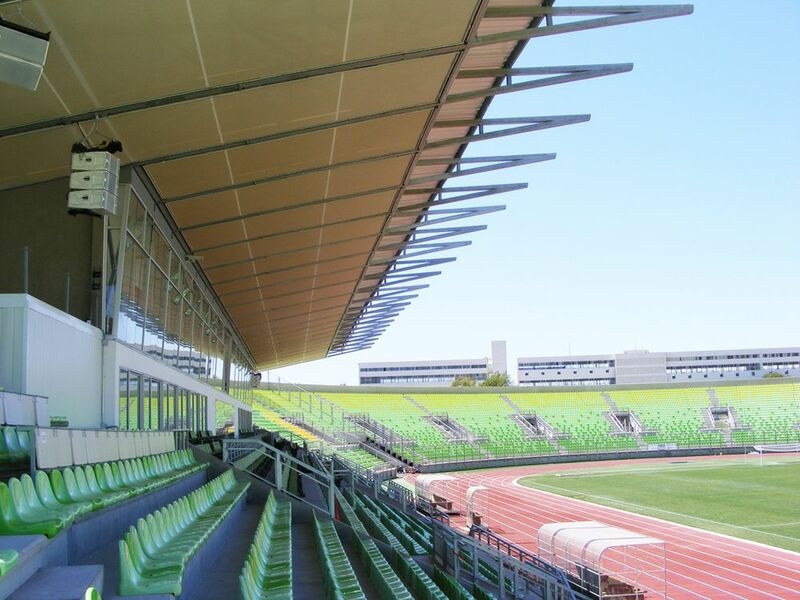 Higher stands hold over 21,000 people, an increase from former 18,500 terraced places. 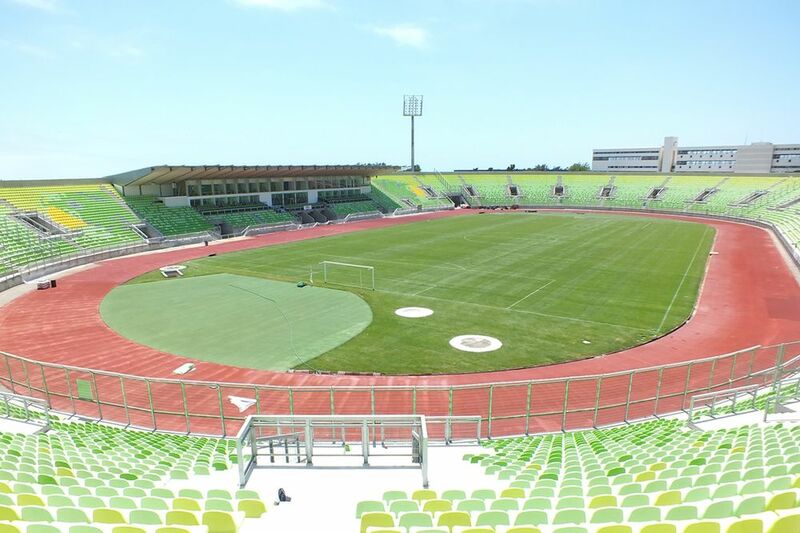 Historically the stadium was first named simply Estadio Municipal (until 2005), then Regional as the city had to sell it after immense debt issues (until 2012). 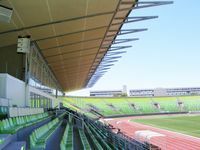 But after rebirth as a brand new structure financed by the Chilean government, the stadium began bearing the name of Elias Figueroa, local football legend considered the best Chilean player of all time. 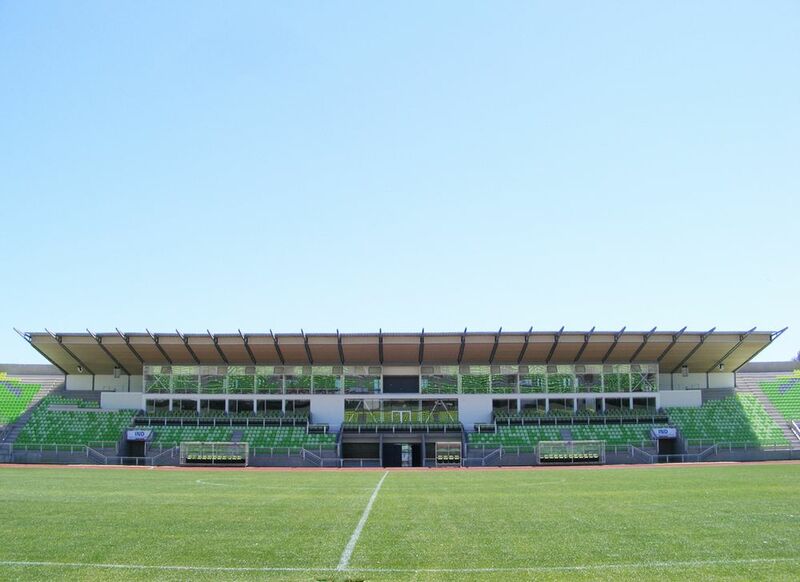 Anchor tenants are the Santiago Wanderers, club established back in the 19th century. 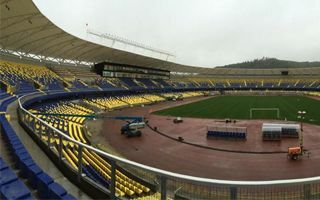 The old stadium was also used for the 1987 Youth World Cup and Copa America 1991. New one, after just a year from opening, was ready to hold the Copa America 2015 games.